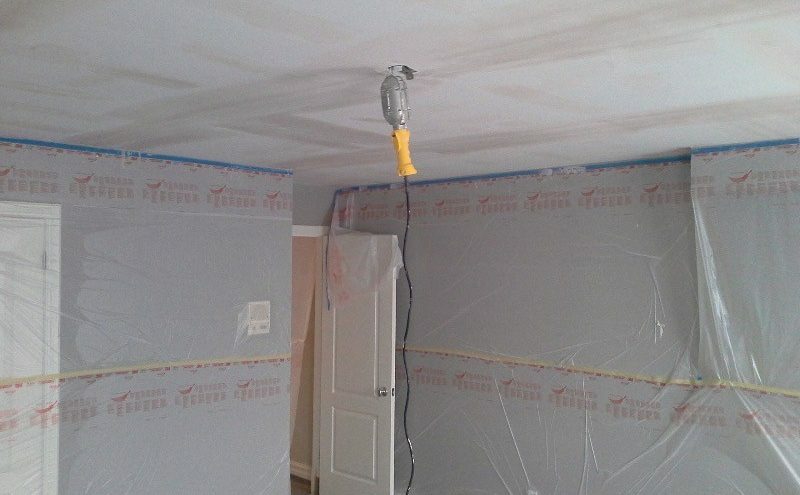 It comes of especially quick if you cover the floor with drop cloths, spray the ceiling with a hudson sprayer (saves your hands from squeezing a spray bottle and is much faster) and use a 12″ taping knife to scrape. Let everything fall onto the drop cloth then you can move fast and just dump the old stuff from the dropcloth into the trash. You want to be certain not to remove or tear the old drywall tape, especially at the edges where the wall meets the ceiling. Tears here in the tape will lead to bigger tears/cracks later . Follow it up with a wipedown of the ceiling with a damp cloth, as there will be some residue left which will prohibit paint or other texture adhesion. Be aware, the textured material may have been used to cover flaws in the drywall ceiling that will need to be addressed before you paint. You’ll need that drywall knife again! 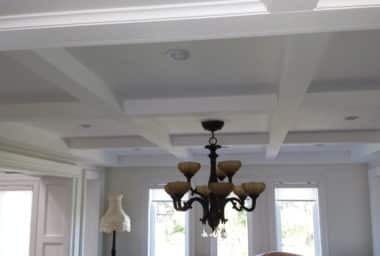 Don’t forget that the entire ceiling will almost certainly need to be skim coated with drywall compound to seal it, smooth it, and make it level.Another word of caution is that some homes had their popcorn texture done in actual plaster. It’s a thick layer applied over the ceiling sheetrock that will simply not soak up water nor will it scrape off easily. You’ll get some chunks to break off, but it’s a bear to take down. 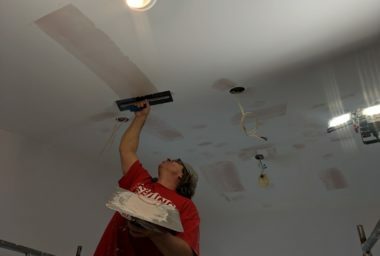 The remedy is to skim coat the popcorn with a lightweight joint compound and start fresh with a relatively smooth ceiling, albeit one slightly closer to ground than before. I’ve also had varying amounts of success with “flattening” the plaster popcorn with a ceiling scraper; it takes the pointy bits off and leaves a pretty spot-on impression of knock-down in its place, only with a finer pattern. Taking down the popcorn texture is half the battle. To address all the imperfections underneath, you need to hire skilled tradesmen that know how to skim coat with a trowel. Do not hesitate to call THE CEILING SPECIALISTS. They have all the tools to transform tour dated popcorn ceilings to smooth modern masterpieces. 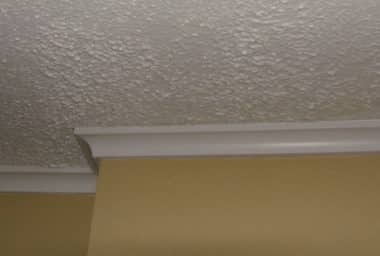 Why to upgrade your popcorn ceilings to smooth ones!